Hi Crafty Friends! Today we have two projects to share. First up is Nancy with another August cross-promotional project featuring Gina's Designs with printable paper kits by Kitty's Scrap Post. Hello Everyone! Nancy here with another cross promotional project pairing Gina's Design's chipboard with digital papers from Kitty's Scrap Post. This is my third project this month using the awesome papers in the Heartbreak kit. Today I'm sharing a Paris themed mini album. There are several more photos of this mini posted on my blog, and the link will be provided at the end of the post. Above: The cover was created using fussy cut images from the Heart Break digital paper kit and a Gina's Designs Texture Sheet in Diamond Pattern, deco corners, and the word "Love" from the 10 words set. Above: Background papers and images are from the digital paper kit. Photo book tucked inside pocket featuring a chipboard cameo by Gina's Designs embossed in shabby aged silver. The page on the right is a split page, with the top half featuring a flip up. Above: A flip-up page featuring sentiment, corset and mirror by Gina's Designs. Perfume bottle is fussy cut from the digital papers, and also background paper is from the collection. All design elements are unattached in the photo mat area, so a photo can be slipped onto the mat. Above: Gina's Designs chair and dressform, the perfume bottle, image of lady and background paper are from the digital paper collection. All design elements are unattached in the photo mat area, so a photo can be slipped onto the mat. Above: Another cameo from Gina's Designs placed on an image fussy cut from the collection Feathery Flourishes surround the fabric flower. Above: The image opens up to display more gorgeous images from the collection. 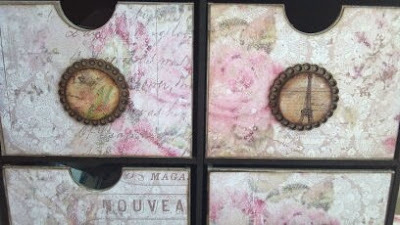 Above: More images from the collection and a chipboard Fleur de lis and Paris elements from Gina's Designs. Above: A flip page featuring papers from the collection (you can see the inside of this page and more on my blog) and Eiffel Tower by Gina's Designs. On the adjoining page I have a side pocket featuring doilies from Gina's Designs in black, and also a silhouette lady has been script stamped. More gorgeous images from the collection on this flip out page, and below is the final page, with tag removed to reveal a transparency with an image from the collection slipped inside which could be replaced with a photo. This mini album was so much fun to create. Lots more photos on my blog HERE. Next up is Donna with one of our new products for Fall. 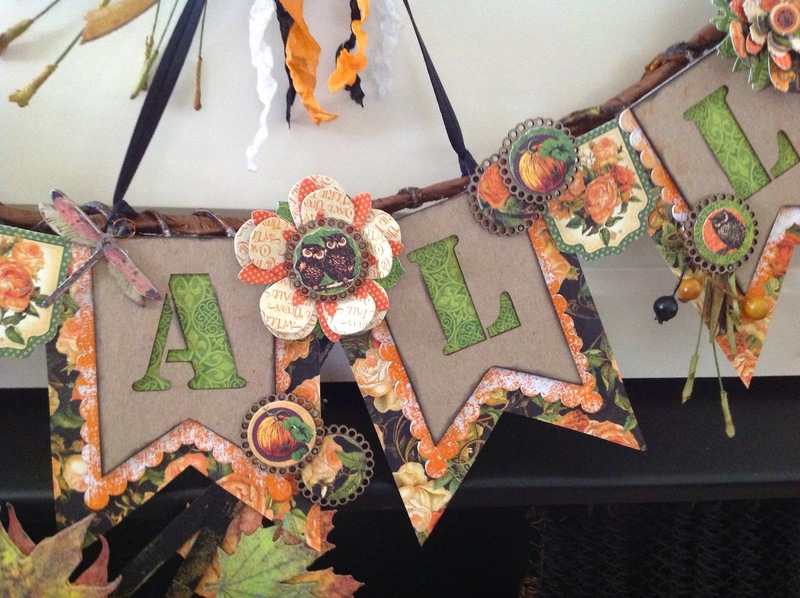 This banner looks amazing paired with Graphic 45 papers! 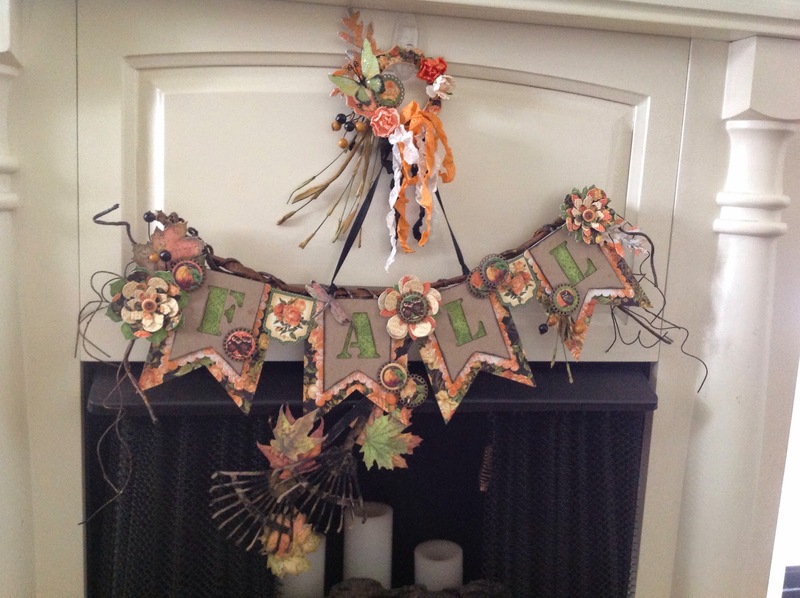 Hi, it's Donna here today to share a Fall Banner I made with Gina's Designs Fall Banner Kit! The chipboard kit comes with two types of leaves, and two cute rakes! I have to confess...I am addicted to making the cute 1 inch chipboard charms (punch elements)! I was so excited to see the 1 inch round designs in the paper collection! Thank you for stopping by Gina's today! Hi Crafty Friends! Today I would like to share my altered alarm clock shadowbox, one of the newer items in our store. You get 6 layers to the clock which you can stack up to create depth, it's a super fun design! I used some Distress Crackle paint on the clock and after it was dry I used some of the new Shimmerz Inklingz watercolors. I used the Inklings to dry brush over the cracks and it picked them up perfectly and really accented them. Once I was done with that, I used some laces around the outside layers and the inside edges. I then used more Inklingz and Blingz on the chipboard wing and also on the wooden "dream" charm. 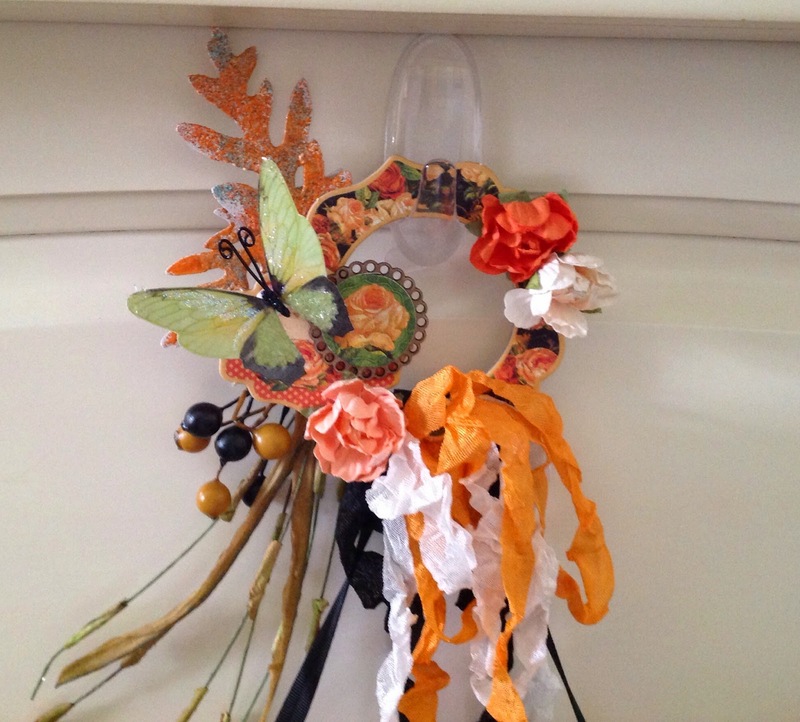 I added some embellishments, flowers and a cute little nest to finish off the clock. I really loved making this project. It was quick and lots of fun to do. Check them out in Gina's Store! Hello crafty friends! Today I would like to share with you my house wall hanging! This set of 3 is from the Birdhouse Wall Hanging Set, and I have modified them to be some fun little mixed media houses. You can see in these photos that I have had some real fun with the background on these. I love doing mixed media and I started with a coat of gesso, then layered on some sprays to give a colorful effect. After I used the sprays, I got out my stamps from Rubbermoon and my clay. I made impressions in the clay with the stamps, then used mica powders to color the clay. Once the clay was baked I was able to add them to the little houses. I also used some of the same stamps from Rubbermoon in the background of the houses. I stamped them on with some Stazon Black Ink. As a final touch I used some watered down white paint to create some splotches on the houses to give it a nice shabby look. I hope you like my project I have shared with you today! Check out all the great goodies in Gina's Store! Hi Crafters! Today we have projects to share from our team member. Today's project is part of our August Cross Promotional with Gina's Designs and Kitty's Scrap Post. Hi everyone! Today I have a project featuring the digital paper from Kitty's Scrap Post. This is the first time I have used the paper and it won't be the last! I love that you can print off the sheets of paper you want to use for a project. 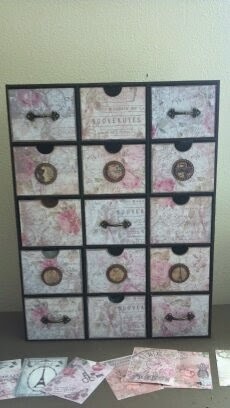 I used the French Seamstress Paper and French Seamstress Bottle Caps with Gina's 15 Drawer Storage Cabinet and the new punchelements - 1" scalloped! One of the great features of the 15 Drawer Storage Cabinet is that you can either attach drawer pulls or use the side with the cut out for the finger pull. As you can see I have used both sides on this project. The punchelements are so easy to use! I used my 1" punch on the bottle cap sheet I printed off. After I had the pieces assembled. I used liquid embossing over the top of the caps. Thanks for stopping by Gina's blog today. 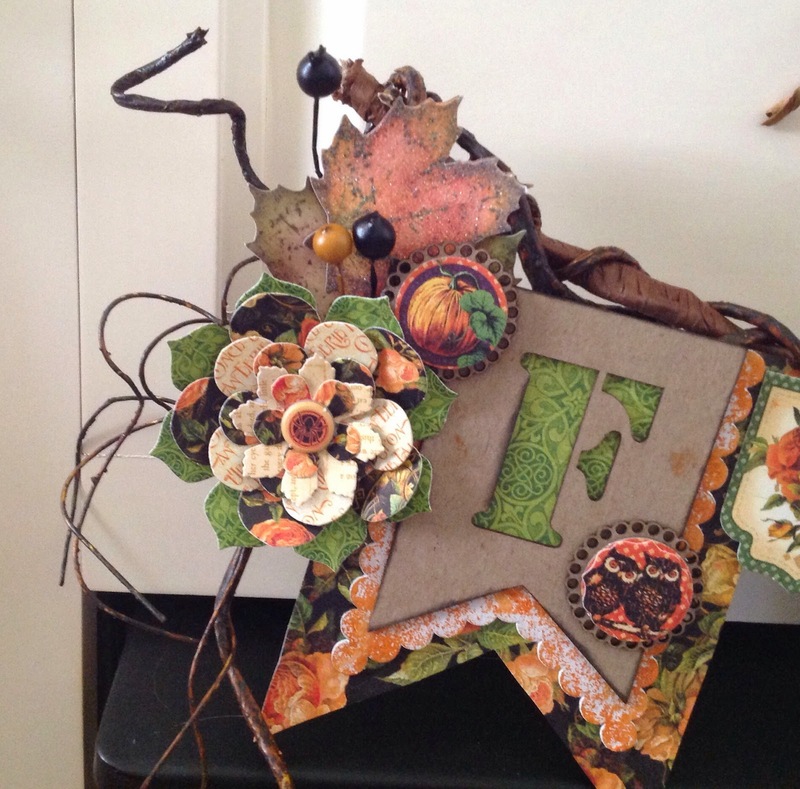 Make sure you pop over to Gina's Designs and to Kitty's Scrap Post for some great products that work so well together! Hi everyone, it's Kathi here! This is my project for the Kitty's Scrap Post cross promotional with Gina's Designs. I chose to work with the Time Traveler Kit. This is the first time I have used digital design paper. The really great part about printing it yourself is that I only had to print just what I needed for this project, and I could choose the size of the paper.